^ The Nobel Prize in Chemistry 1922. 诺贝尔基金会. [2008年12月21日] （英语）. ^ 2.0 2.1 2.2 2.3 2.4 2.5 Biography. 诺贝尔基金会. [2008年12月21日] （英语）. ^ 3.0 3.1 3.2 3.3 3.4 Cambridge Physicists - Francis William Aston. 剑桥大学物理系. [2008年12月21日]. （原始内容存档于2007年7月21日） （英语）. ^ （英文） F. W. Aston. Experiments on the Length of the Cathode Dark Space with Varying Current Densities and Pressures in Different Gases. Proceedings of the Royal Society of London. Series A (London: The Royal Society). Apr 24, 1907, 79 (528): 80–95. ^ （英文） F. W. Aston. Experiments on a New Cathode Dark Space in Helium and Hydrogen. Proceedings of the Royal Society of London. Series A (London: The Royal Society). Dec 9, 1907, 80 (535): 45–49. ^ （英文） F. W. Aston. The Distribution of Electric Force in the Crookes Dark Space. Proceedings of the Royal Society of London. Series A (London: The Royal Society). Jan 26, 1911, 84 (573): 526–535. ^ （英文） F. W. Aston. The constitution of atmospheric neon. Philosophical Magazine. 1920, 39 (6): 449–455. ^ （英文） F. W. Aston. A new mass-spectrograph and the whole number rule. Proc Roy Soc London (Series A) (London: The Royal Society). 1927, 115: 487–514. ^ （英文） G. Hevesy. Francis William Aston. 1877-1945. Obituary Notices of Fellows of the Royal Society (The Royal Society). May 1948, 5 (16): 634–650. ^ （英文） Kevin M. Downard. 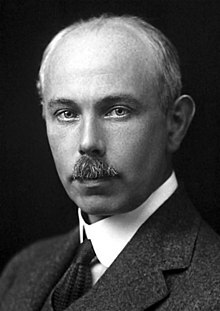 Historical Account: Francis William Aston: the man behind the mass spectrograph. European Journal of Mass Spectrometry (IM Publications). 2007, 13 (3): 177–190. ISSN 1356-1049. doi:10.1255/ejms.878. （原始内容存档于2008年10月29日）.